Born in York County, Ontario, one of seven children born to James Barnes Beynon (1835-1907) and Rebecca Manning (1848-1898), sister to Francis Marion Beynon and Howard Barnes Beynon, and cousin to George William Beynon, an accident at the age of five years left her lame for the rest of her life. She came to Hartney with her family in 1889 and was educated at the Portage Collegiate and Winnipeg Collegiate Institute (1899-1901). She taught at Hullett School (1892) and Chain Lakes School before attending Wesley College, graduating from the University of Manitoba (BA, 1905). She taught school at Morden briefly. In 1906, she joined the staff of the Manitoba Free Press where she served as Assistant Editor of the Weekly Free Press and wrote as “Lillian Laurie.” She served as Secretary of the Local Branch of the Canadian Women’s Press Club from 1907 to 1908 and was a member of the Executive of the University Women’s Club in 1910. She was an organizer of Women’s Institutes in connection with Extension Department of the University of Saskatchewan, in 1910. Two years later, she was elected the first President of the Winnipeg chapter of the Manitoba Political Equality League. Her first successful short story won a prize from Maclean’s magazine and was published by the American Magazine. She was an active feminist and advocate of women’s suffrage, especially involved in the Political Equality League. 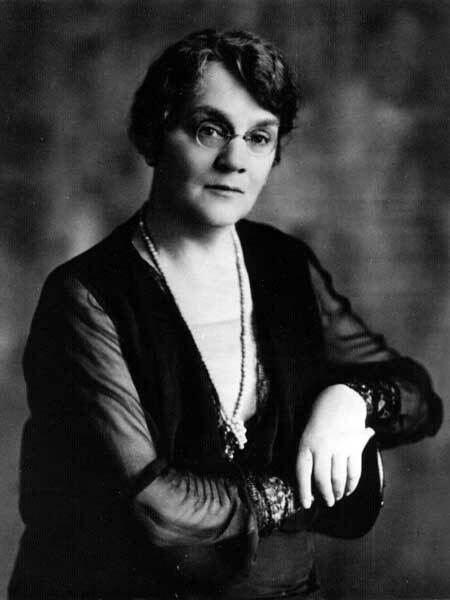 She worked in New York from 1918 to 1923 but returned to Canada with her husband, A. V. Thomas, to write. She authored several successful plays, including Among the Maples; Jim Barber’s Spite Fence (winner of the Dominion Drama Award for Manitoba); and As the Twig Is Bent. Her first novel, New Secret, was published in 1946. She died at Winnipeg on 2 September 1961. Manitoba Law Journal, Volume 27, pages 45-113, 1999. Obituary, Winnipeg Free Press, 4 September 1961, page 19. Golden Memories: A History of the Dand Community, Dand Women’s Institute, 1967. Reflections: Turtle Mountain Municipality and Killarney, 1882-1982, page 109. We thank Robert Hawkins for providing additional information used here.